The parents of Sean Smith and Tyrone Woods, who were killed in the 2012 terrorist attack in Benghazi, Libya, have sued Hillary Clinton for wrongful death and defamation. Hillary Clinton was the Secretary of State when the United States Consulate was attacked. A terror attack that Hillary Clinton and other Obama mouth pieces blamed on a video tape. Hillary lied to the American people and the families of those murdered. Hillary Clinton had continually turned down requests to beef up security ahead of the attacks. Requests that went unheard. Patricia Smith, mother of Benghazi victim Sean Smith stated at the RNC, “If Hillary Clinton cannot give us the truth, why would we give her the presidency?” The case was filed in the U.S. District Court for the District of Columbia by Larry Klayman of Freedom Watch USA on behalf of Patricia Smith, the mother of Sean Smith, and Charles Woods, the father of Tyrone Woods, for allegedly wrongfully causing the death of their sons as well as for defamation and intentional and negligent infliction of emotional distress. Sorry America, Hillary Clinton is not presidential material. She had her moment to be presidential and her 3 o’ clock phone call and she failed miserably. The parents of two Americans killed in the 2012 terrorist attacks on U.S. diplomatic facilities in Benghazi, Libya, filed a wrongful death lawsuit in federal court Monday against Hillary Clinton. In the suit, Patricia Smith and Charles Woods, the parents of Sean Smith and Tyrone Woods, claim that Clinton’s use of a private e-mail server contributed to the attacks. They also accuse her of defaming them in public statements. Smith was an information management officer and Woods was a security officer, both stationed in Benghazi. “The Benghazi attack was directly and proximately caused, at a minimum by defendant Clinton’s ‘extreme carelessness’ in handling confidential and classified information,” such as the location of State Department employees in Libya, the lawsuit said. In an interview last week on “Fox News Sunday,” Clinton denied telling family members of those killed that the attack was sparked by an anti-Islam video, and was not terrorism. Oh really, so Hillary is calling a Gold Star parent a liar? Where is the MSM covering that like they did Trump? House Republicans release a lengthy report on Bengazi Tuesday recounting the events that led to the deaths of four American diplomats, including Ambassador Chris Stevens. Eventually, the Hillary Clinton lies are going to catch up to her and the so-called Obama most transparent administration ever has been anything but. They have stonewalled this investigation for obvious reasons and now Democrats are only looking to run cover for Hillary, who was AWOL during the Benghazi attacks. Ever wonder what a trial run for Hillary Clinton as president looks like, it was the Benghazi attacks that left 4 Americans left to die. After a more than two-year investigation into the 2012 terrorist attack in Benghazi, House Republicans are set to release a lengthy report Tuesday recounting the events that led to the deaths of four American diplomats. It sheds new light on the breakdown in the U.S. military’s response to the attack and offers new details about why U.S. Ambassador Christopher Stevens was at the compound in the Libyan city with only two State Department bodyguards, months after the British and others had evacuated the area. NBC News obtained the first 175-page section of the full 800-page House Select Committee on Benghazi report. The full report was released later Tuesday morning. The Democratic minority released its own report Monday. One section of the report seems to allege that U.S. officials fundamentally misunderstood who their allies were at the time. The Republican majority’s report found that 35 Americans were saved not by a “quasi-governmental militia” as previous reports concluded, or even a group the U.S. saw as allies. 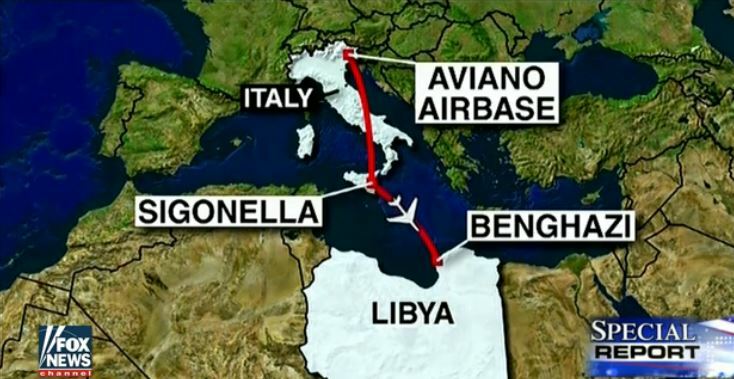 Instead, the report determines that the Americans were saved by the “Libyan Military Intelligence,” a group composed of military officers under the Moammar Khaddafy regime, the Libyan dictator who the U.S. helped topple just one year earlier. 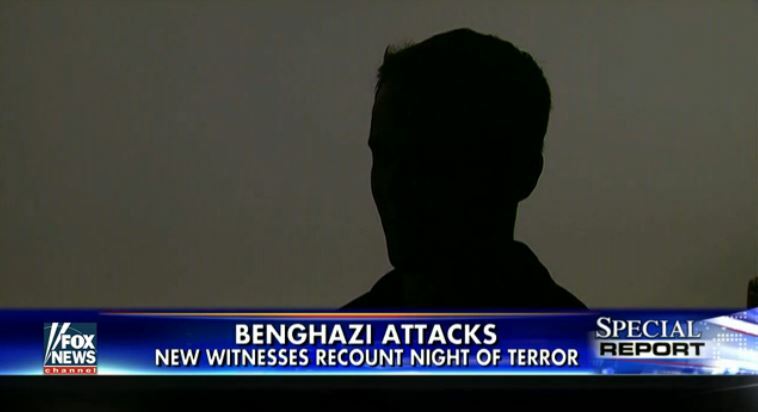 FOX News: House GOP Report: Despite eyewitness accounts, Clinton, administration pushed video explanation for Benghazi. When asked whether he saw or heard a protest prior to the attacks, the officer replied, “zip, nothing, nada,” according to the Republican majority report. What a Joke … Hillary Clinton Slams Trump About Golfing When Obama Has Spent the Last 7 1/2 Years on The Golf Course? Team Hillary came out with the political ad below following the Brexit vote to deflect attention away from the fact that she was dead wrong and on the wrong side of the British vote to leave the EU. Making the political hack ad even more idiotic is the fact, not only was it a fabricated lie, but surprisingly moronic in the fact that she would pick golf as the vehicle to slam Trump. First, the ad claims Trump in volatile. No where in the entire ad does it show Trump being volatile. Two, golf, Hillary Clinton picked golf? It is Barack Obama that has spent more time on the golf course in the last 7-1/2 years than any president ever. Maybe even all combine. Clinton would actually make a gold reference? No one can ever she she does not have CO-JONES, that’s for sure. Three, tested? Really Hillary, just curious … how did that Benghazi thing go when you were tested? You remember, when Ambassador Stevens continually begged for more security and you provided nothing. That ended in a terrorist attack that you tried to cover up that left dour Americans dead, including Ambassador Stevens. It is you that is unfit for office my dear. What the United States does not need is a lying, crooked and corrupt president. The USA does not need lying, crooked Hillary. Hillary has been tested as well, how did that Benghazi thing go? From FOX News comes the following new witness recounting the night of the Benghazi terror attacks that left four Americans dead, including Ambassador Chris Stevens. As the Benghazi consulate was under fire on September 11, 2012, hundreds of miles away an Air Force squadron answered the call. Its members raced to arm and ready their aircraft to provide the support those on the ground desperately needed. The order never came. Honestly, this is one of the most despicable and negligent military reactions to Americans in harms way in history. The only acts that may be more despicable and cowardice is the coverup that has occurred since to protect politicians like Obama and Hillary Clinton. The Obama administration waited and waited and waited and did nothing. Then they blamed it all on a film maker. This one act alone should disqualify Hillary Clinton, then Secretart of State, from ever being President of the United States and Commander in Chief. The team – at Aviano Air Base in northeastern Italy – raced to the field and was briefed, as planes were armed and prepared to launch. Hundreds of miles away, fellow Americans were under attack in Benghazi. “There were people everywhere,” said the witness, who was on the ground that night but wished to remain anonymous. “That flight line was full of people, and we were all ready to go” to Benghazi. Only they were waiting for the order. It never came. “The whole night we were told that we are waiting on a call,” he told Fox News. This account is from a squadron member at Aviano the night of the Sept. 11, 2012, terror attack in Benghazi. The source, the first in his squadron to speak out publicly since that attack, is going public to explain – in his view – that more could have been done to save Americans under attack that night. He asked that his identity be protected for fear of retribution. He says others in his squadron also have wanted to talk about Benghazi from the beginning, but no others have been interviewed and all are afraid of the potential backlash from speaking out. The new witness who had to have his identity protected for fear of retribution stated that his squadron could have helped. Although they may not have been able to have helped Ambassador Chris Stevens and information officer Sean Smith were killed in the initial attack on the main compound, they could have saved Former Navy SEALs Tyrone Woods and Glen Doherty were killed in that second wave, some 7 to 9 hours later. Former Navy SEALs Tyrone Woods and Glen Doherty were killed in that second wave. Ambassador Chris Stevens and information officer Sean Smith were killed in the initial attack on the main compound. “We could have been there. That’s the worst part,” the source said. Michael Bay’s “13 Hours: The Secret Soldiers of Benghazi” is set to be released everywhere on Friday. This is a must see movie. As stated at the Politico, the new Benghazi movie reignites ‘stand-down’ order debate. Sorry, if I happen to believe the people who actually were there as opposed to the pathetic, rotten lying politicians trying to cover the collective asses of Barack Obama and then Secretary of State Hillary Clinton. Our governments action with regards to the terror attacks in Benghazi will forever be a low-point in America history where those in power just left Americans to die and then blamed the radical Islamist terror attack on a tape. Shame on them and shame on the media for covering up the story. The creators of a new Hollywood blockbuster about the 2012 Benghazi terrorist attack are renewing the politically explosive allegation that commandos called to defend the U.S. compound were told to “stand down” — a claim Democrats say has no basis in fact. With Michael Bay’s “13 Hours: The Secret Soldiers of Benghazi” set to premiere Thursday, the five surviving members of the six-man Benghazi security team have blitzed the airwaves to promote the film and renew their assertion that a top CIA officer delayed them from immediately answering State Department distress calls. Three even testified to the same before the House Select Committee on Benghazi last spring, several sources have confirmed to POLITICO. Pat Smith joined Megyn Kelly tonight after attending the opening of ’13 Hours’ last night in Dallas, Texas. She sobbed as she told Megyn about the movie. I left as soon as Sean came on screen, or the person who portrayed him. I couldn’t handle it. HILLARY IS A LIAR! I know what she told me! Smith was referring to Hillary’s bogus claims that a YouTube video was behind the deadly attacks. Pat Smith later said she wants Hillary in jail.